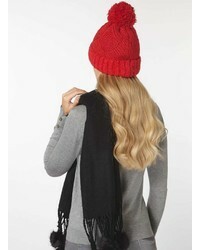 If you're a fan of practicality dressing when it comes to fashion, you'll love this seriously chic pairing of a black gilet and a red knit beanie. 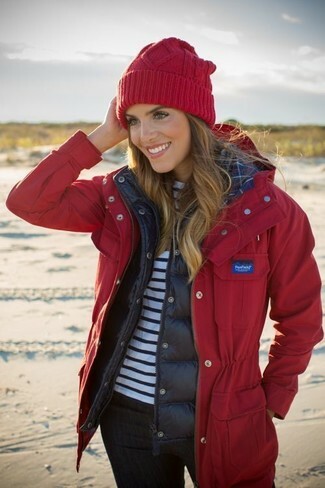 If you're obsessed with relaxed dressing when it comes to fashion, you'll love this totaly chic pairing of a black puffer coat and a Red Boucle Beanie from Dorothy Perkins. For something more on the daring side to finish off this ensemble, make black rain boots your footwear choice. 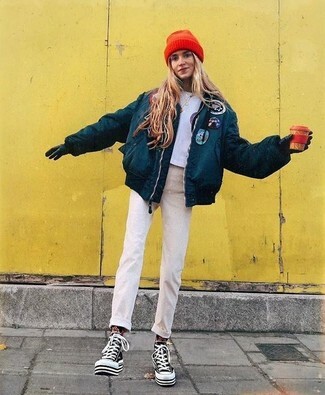 Make a teal puffer jacket and a red knit beanie your outfit choice to be both casual and neat. When it comes to shoes, this outfit is round off nicely with black and white canvas high top sneakers. 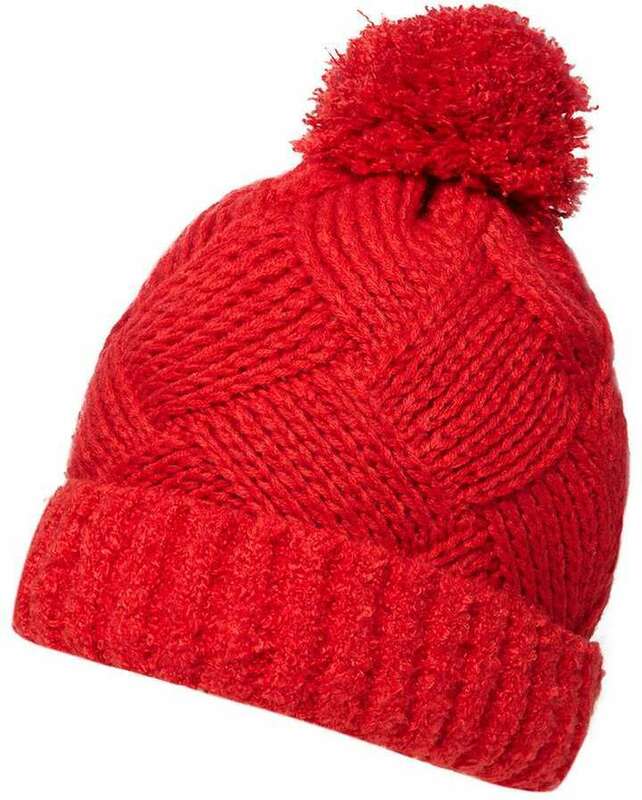 If you're a fan of relaxed dressing when it comes to fashion, you'll love this incredibly chic pairing of a grey print sweatshirt and a red knit beanie. You could perhaps get a little creative when it comes to footwear and spruce up your ensemble with grey suede over the knee boots. 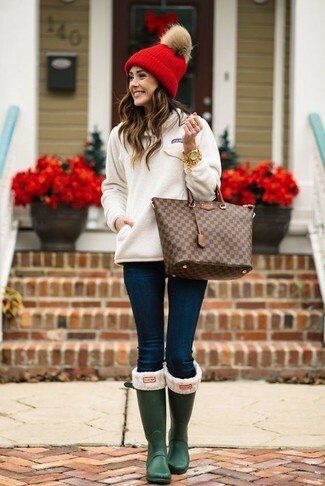 If you're all about comfort dressing when it comes to your personal style, you'll love this uber cute combo of a white sweatshirt and a red knit beanie. Dark green rain boots will add a more relaxed feel to your getup. If you're all about comfort dressing when it comes to your personal style, you'll love this absolutely chic pairing of a charcoal coat and a Red Boucle Beanie from Dorothy Perkins. Make your ensemble more fun by complementing it with red rain boots. 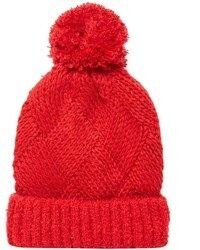 Opt for a tan leopard fur coat and a red knit beanie to be both casual and neat. Perk up your getup with red suede pumps.